Sift flour and add together all the coating ingredients and grind finely with a mortar and pestle and place in a clean plastic bag. 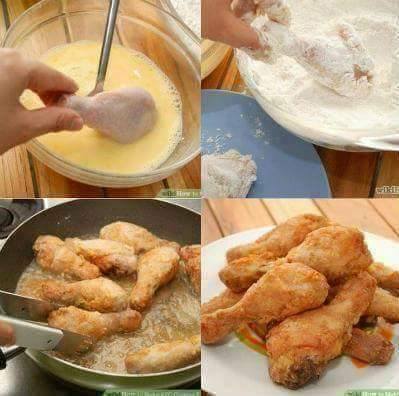 Coat each chicken piece first with the beaten egg, then with the flour mixture in the bag. Make sure you coat each piece completely with the flour.